Ordering made easy. 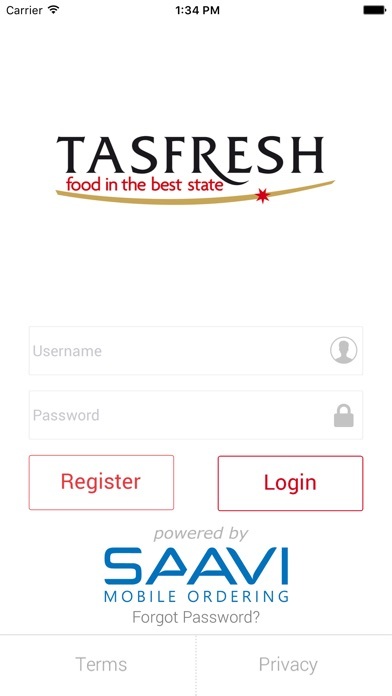 With Tasfresh FREE mobile ordering app you can now stay completely up to date with latest specials, new product lines and even create your own personalised pantry lists for super fast ordering. This FREE Tasfresh App has been designed to make your ordering life easier. Now from the convenience of your own mobile or tablet you can view our entire range and place orders within minutes. BROWSE THE LATEST PRODUCTS View and order directly from your mobile or tablet the complete product range with product images displayed on selected items. ORDER FROM PANTRY LIST OR ORDER HISTORY You can quickly and easily select your pantry lists, select the items you want and place an order in seconds. Use our pantry list, or create your very own. We’ve also included the convenience of re-ordering from your previous orders. SIMPLE AND EASY TO USE Because we know your life is so busy, you now no longer have to sit in front of your PC and log-on to a difficult to use online store to place an order. 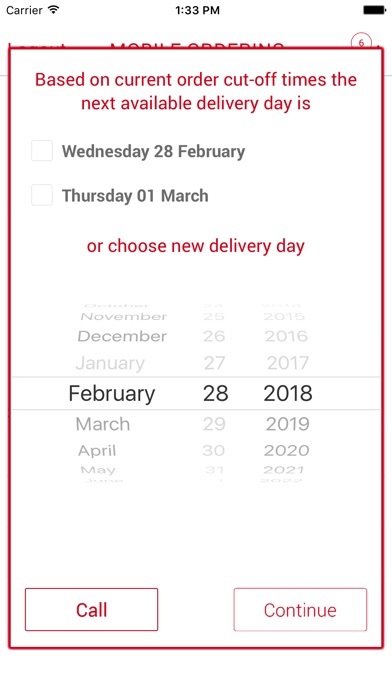 The Tasfresh App has been designed to be a super quick and easy tool to keep you up to date with all our product range and supplier promotions – wherever you are 24 hours a day. INSTANTLY STAY INFORMED. Now you will never miss out on exclusive supplier offers or strictly limited specials. 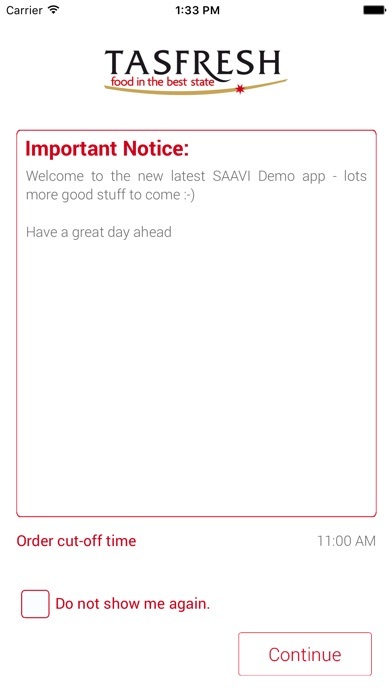 You will now receive instant notifications when any new promotions become available. LATEST PRICING Tired of having to call your sales rep to get up-to-date accurate pricing? Our Tasfresh App provides real-time pricing on the go. When we revise our pricing, you will receive the latest pricing immediately! The AWM App is your convenient mobile ordering companion – as they say don’t leave home without it.